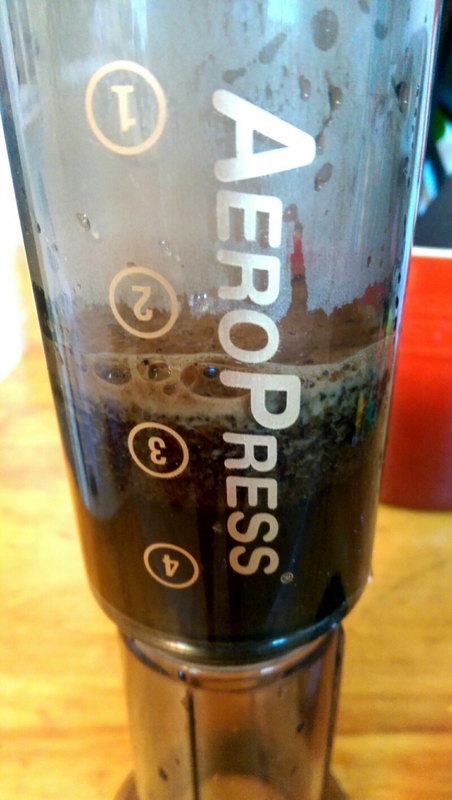 The Aeropress is one of the highest rated coffee makers in the Amazon Marketplace. 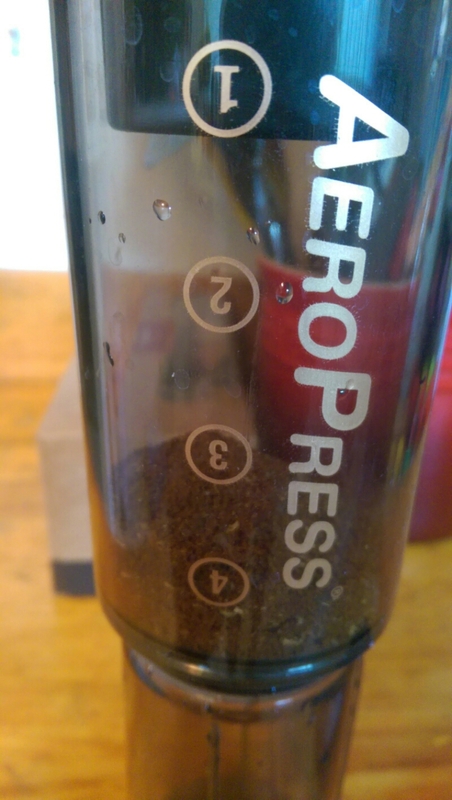 Almost everyone I have discussed it with has raved about the cup of coffee the Aeropress makes. What’s even crazier is that they all said throw away the instructions that come with the Aeropress…yes, throw them away. The inverted method instructions do not come with the device, so I will walk you through them here. 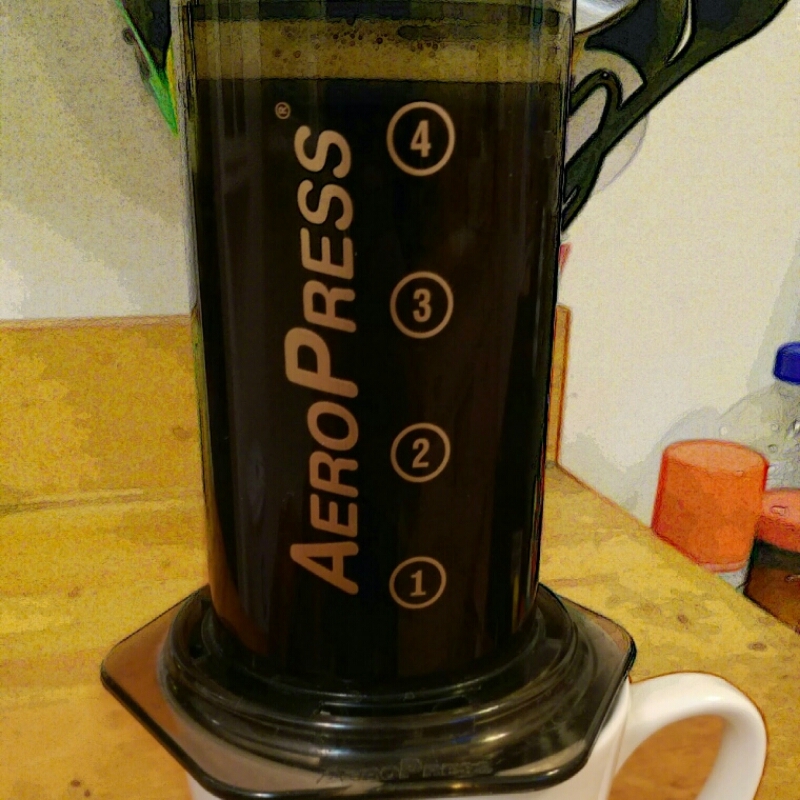 The Aeropress doesn’t look like much at first sight, it is basically a good sized plunger that you use to push out a cup of coffee. It produces and amazingly smooth cup of coffee that passes through a paper disc filter and into you cup. The Aeropress is made of plastic and consists of three key components: a plunger, a cylinder, and a cap that locks the filter into place. The set up is so simple I plan to take it on my next camping trip. In fact, it is a favorite for people that are on the go and love to brew their own coffee. I started brewing specialty coffee at home on a Hario V60 Pourover setup. There is a lot more room for human error there. You have to be very careful about pourover times, weight of beans and water. 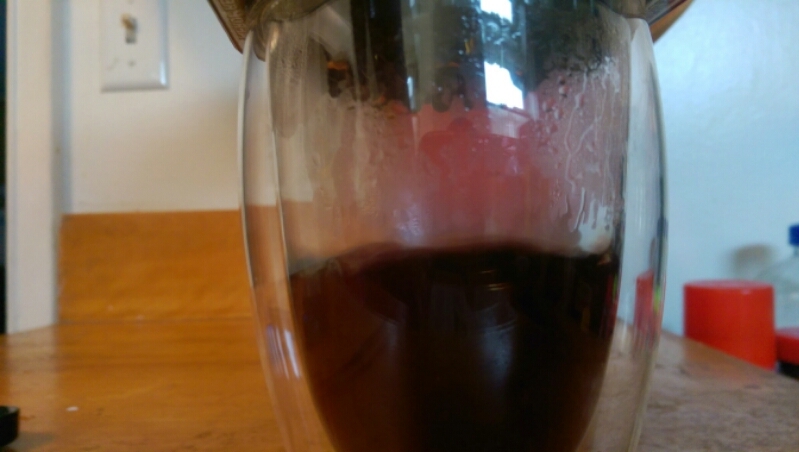 It is a very calculated method that will reward you with more flavorful coffee than an Aeropress, but you could also end up with a watery or very bitter cup just as easily. 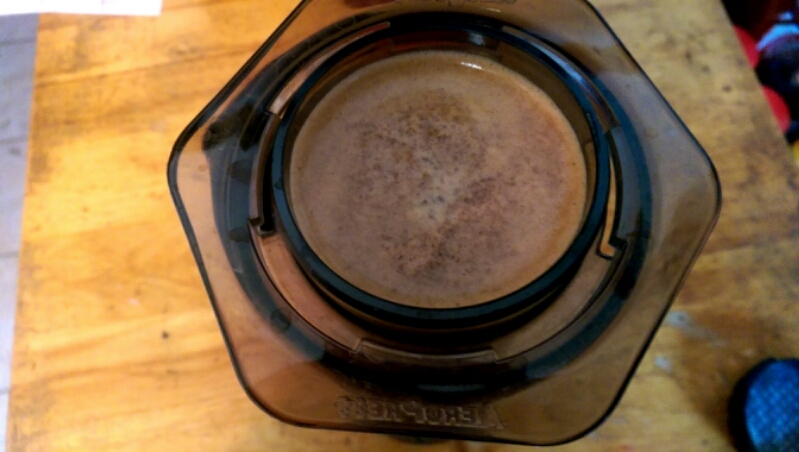 I was quite skeptical the Aeropress to say the least, but it definitely lived up to the hype. 1. First take a single paper filter, drop it into the cap and wet the filter to rinse away the paper flavor. 2. Moisten the rubber end of the plunger so that it slides through with a little less friction. 3. Stand the plunger with its rubber end up. 4. Set the hollow cylinder on top by slightly sliding it past the rubber end. The end that the cap screws onto should be at the top. 5. Insert grounds so that they sit on the bottom. I highly recommend fresh ground coffee at a medium-fine setting. One level scoop of whole beans with the included scoop will be enough for one cup of coffee. 6. Bring water to a boil. Once boil tapers off, pour enough water to cover the grounds. 7. Give the grounds a stir with the included stirring spatula. This should take 30 seconds. 8. Pour water to the top of the cylinder. 9. Screw on the cap with filter inside to help retain heat and wait for a total of 1:45 from initial pour. 10. Flip, invert, with mug on top in one smooth motion. The mug will catch any drips. 11. Press slowly and steadily until you hear the hiss of the air that is between the plunger and the grounds. The Aeropress can be found on Amazon or Bed Bath and Beyond for around $30. It is an excellent coffee maker for those stepping into quality home brewing. You deserve to have great coffee in your life and there is no better place to start than with an Aeropress. Here are a few roasters you should try with your Aeropress. I have to try it this way. Definitely give me more caffiene!